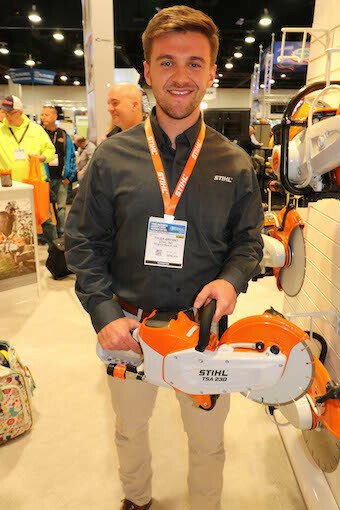 U.S. operators of STIHL Cutquik cut-off machines can benefit from supplementary, professional training from the convenience of their home or office with the STIHL Cut-Off Machine Safety, Maintenance and Operation DVD. This informative video is the second in a series of safety, maintenance and operation videos produced by STIHL, and was developed as a resource for even the most experienced user to help reduce the risk of on-the-job injuries. 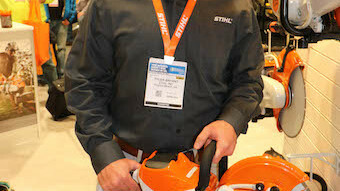 This basic training video is not only for the new user, but also for the seasoned veteran, said national training manager for STIHL Inc., John Keeler, who produced the video. ÒThe DVD is designed to help train users of all handheld cut-off machines to properly operate the equipment in a proper manner. The 45-minute instructional video is a complement to the product instruction manual and is broken into eight chapters: Cut-Off Machine Features, Understanding Authorized Wheels, Personal Protective Equipment, Transporting Your Cut-Off Machine, Pre-Use Inspection and Maintenance, Fueling Your Cut-Off Machine, Starting Your Cut-Off Machine, and Using Your Cut-Off Machine. To order the STIHL Cut-Off Machine Safety, Maintenance and Operation DVD, contact Red Letter Communications at 800/732-0054. The DVD costs US$4.99, plus shipping and handling.